Apartment in Palermo Soho, Buenos Aires - Soho View ! 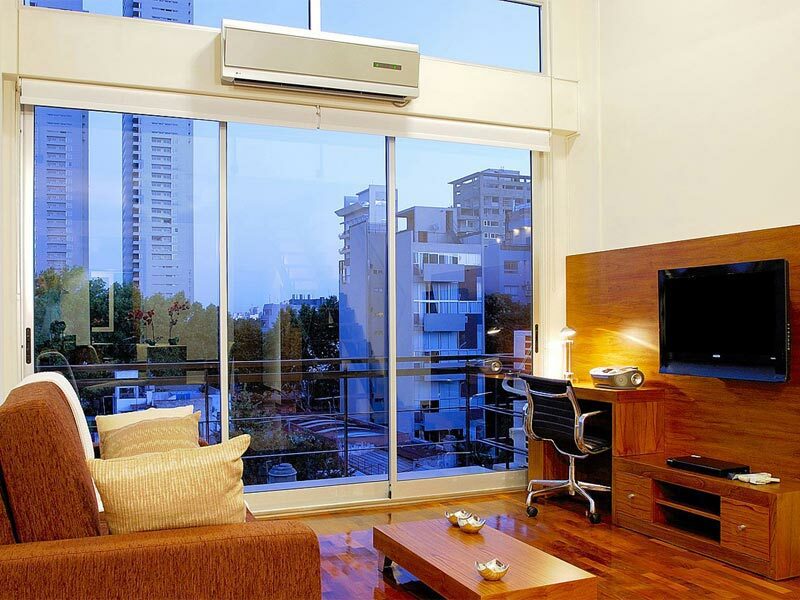 Sleek 540 square feet apartment with pool, gym and sauna in the heart of Palermo Soho. Suited for long term stays, say goodbye to boring hotel rooms. Starting from the top, this building has its very own Observatory Deck with spectacular panoramic views of the city, day and night. Fully appreciate the city’s magnificence from your very own window on the world, gaze upon its tree lined streets and large open parks. When the sun goes down marvel at the midnight lights when everything sparkles! This apartment for rent in Buenos Aires is the perfect alternative to a cramped hotel room for a long term stay and comes fully furnished, it features a 32’’ TV with cable, separate sound system, useful office space, fully equipped kitchen with washing machine and, last but not least, a king sized bed to guarantee a good night's rest. The apartment boasts its own balcony giving you your very own private observatory from which to stare at the bright city lights, glass of wine in hand. On the ground floor you will find a decked area with swimming pool, and in the basement a gym and sauna. The building benefits from 24 hour security and is located in one of the best areas of Palermo Soho.